The collection isn’t that large (I spent only 45 minutes exploring it), but the works it comprises make the trek to Santa Fe totally worth it. I even saw some paintings of O’Keefe’s I wasn’t familiar with that featured The Black Place, some badlands in the New Mexican wilderness made up of dark black soil. 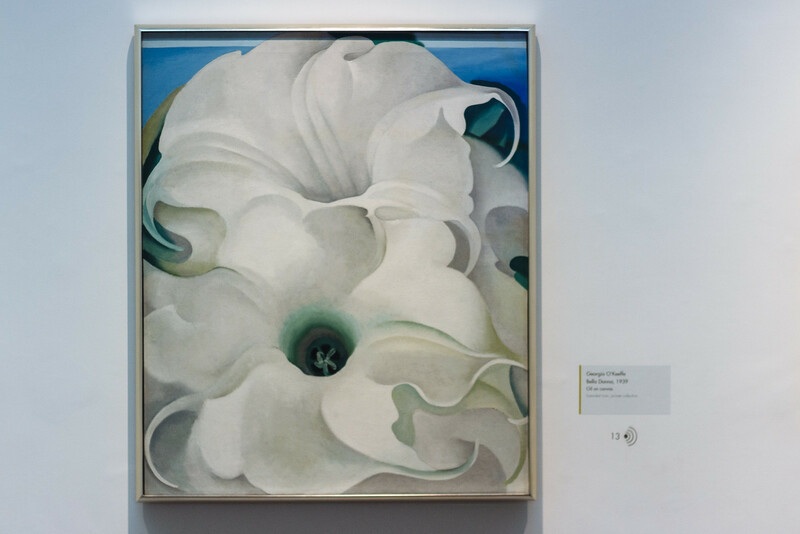 I guess I’ll just have to plan another pilgrimage to experience O’Keefe’s inspiration—in summertime, preferably. By the time my friends Dolores and Michael and I emerged from the O’Keefe Museum, the sun had emerged from the clouds and begun to gently tug the city out into the streets. 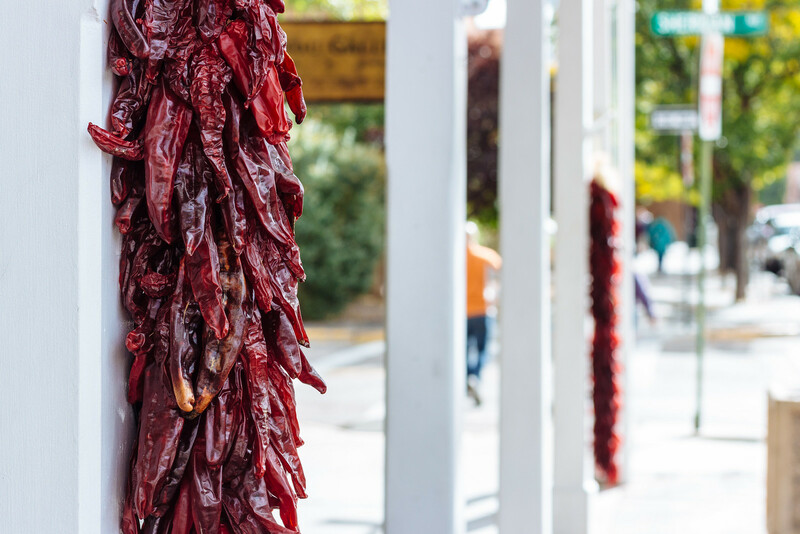 We wandered through the oldest state capital in the U.S. and took in the sights: the traditional adobe architecture of northern New Mexico, ristras or hanging bunches of red chile peppers, the Catholic cathedral, and even an Indigenous Peoples’ Day ceremony at the main plaza. 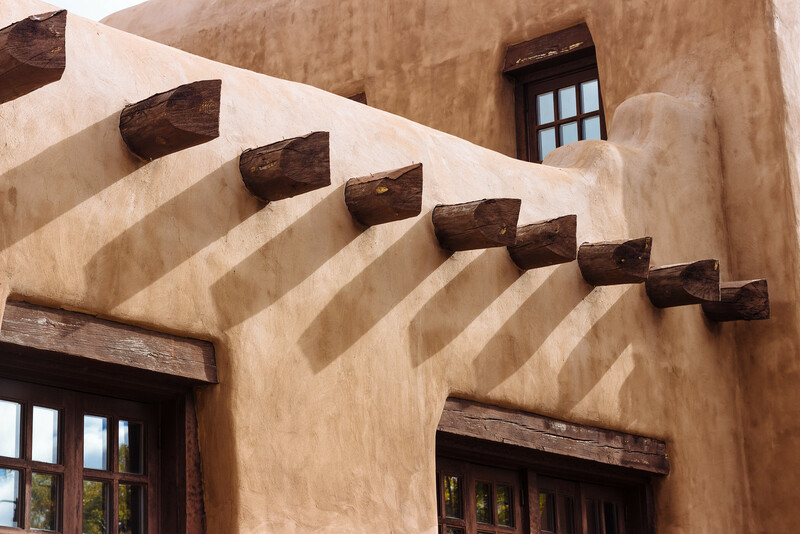 Apache, Navajo, and Puebloan artisans lined the colonnaded patio in front of the 419-year-old Palace of the Governors, selling various handcrafted rings, bracelets, necklaces, pendants, earrings, belt buckles, and bolo ties. I’ve been in the market for a bold turquoise ring and a subdued bolo tie for a while, but unfortunately nothing caught my eye in Santa Fe. What did catch my eye, however, was the sign for Tomasita’s, right next door to the train depot. We ordered a great spread of New Mexican cuisine; I got some blue-corn quesadillas with red-chile sauce…further extending my weekend-long battle with heartburn. But the burn was so good! After lunch, Dolores dropped Michael and me off at the train station so we could start making our way back home to Arizona. 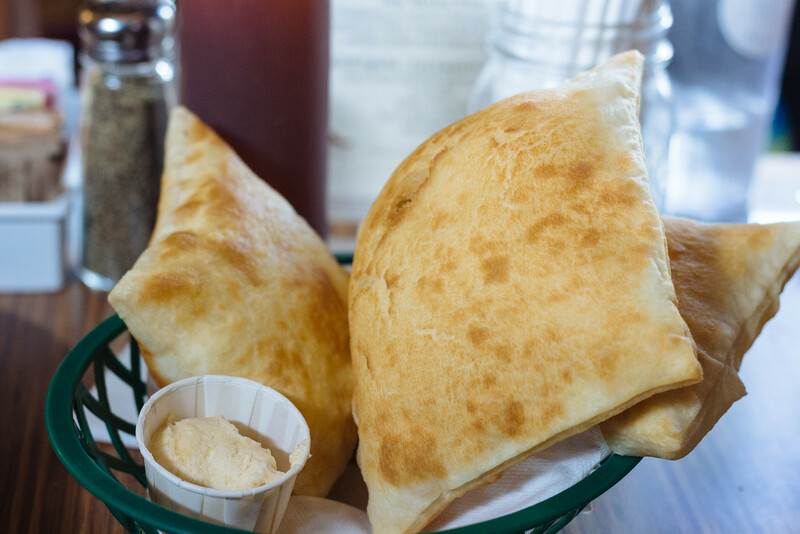 Leaving Tomasito’s, I felt as full as a sopaipilla—or as inflated as a hot-air balloon from the day before, so I welcomed the opportunity to not have to drive for an hour. 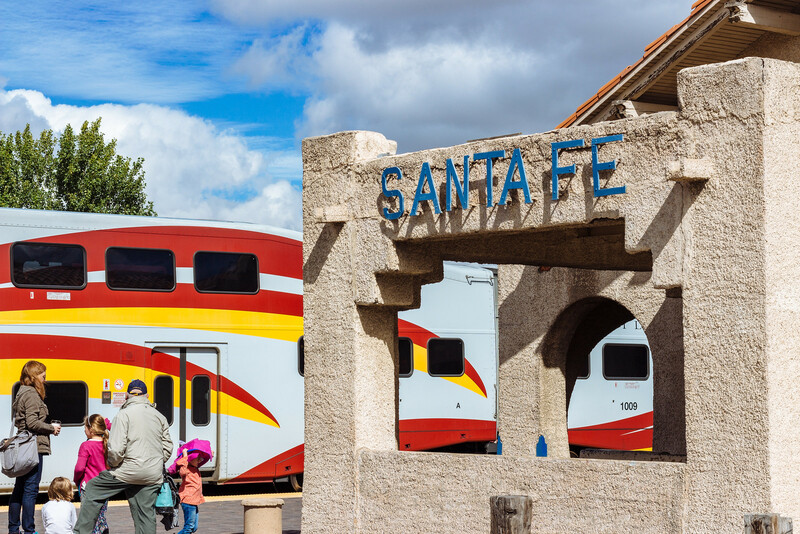 Instead, Michael and I boarded the New Mexico Rail Runner Express, a commuter rail that runs along the Interstate 25 corridor between Santa Fe and Albuquerque. For just $9 one way, we enjoyed a smooth, quiet, hour-and-a-half ride through the New Mexican countryside and Puebloan communities. The ticket also included a bus pass in Albuquerque, which was super convenient for getting to the airport for our flight back to Phoenix. Seeing how New Mexico had implemented commuter rail in the northern half of the state made me wish that Arizona operated something similar between Phoenix and Tucson. Arizona’s Department of Transportation has a proposal for a line connecting the state’s two biggest metro areas, but the state legislature isn’t exactly chomping at the bits to fund public transit. High-speed rail would be the dream, but I’d settle for highway speeds as long as I don’t have to drive that dull stretch of Interstate 10. Is New Mexico on your to-visit radar? What commuter rail lines have you used to travel? Start the discussion below in the comments box!